You have to do your best to either shoot back, fly into them, or avoid them! 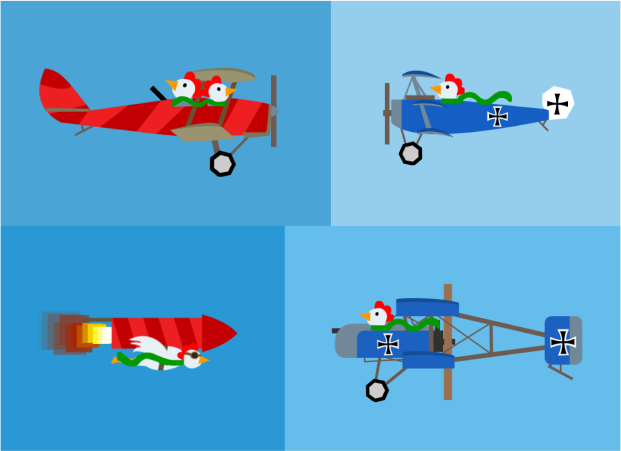 So there's some differences in each plane's abilities too, some shoot forward, some shoot backwards, and one is... well it's a chicken on a rocket. So I hope you enjoy fighting with these new planes. Don't be a chicken! You can download Chicken Fokkers on Google Play (iOS coming soon).